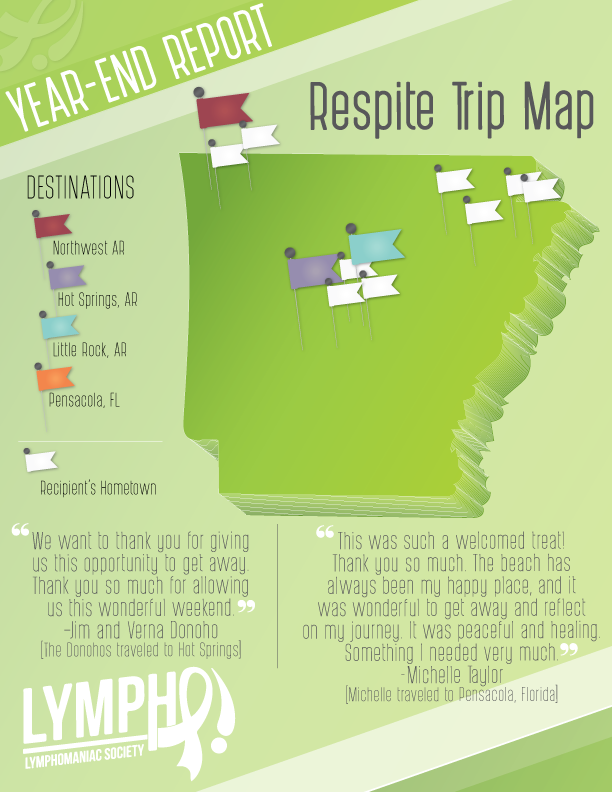 The Lymphomaniac Society is now accepting applications for 2018 respite trips to Hot Springs, Little Rock and Northwest Arkansas. Trips are available for eligible cancer survivors who need a break from the physical and emotional tolls of treatment. Applications are available at www.lymphomaniac.org/apply. The organization accepts medical referrals from social workers and other medical team members, self-nominations from cancer survivors, and nominations from friends and family. Applicants must be in active treatment or less than one year removed from their last treatment. Stem-cell transplant recipients must be less than two years removed from the date of their transplant. For more information, contact Elizabeth Fortune at elizabeth@lymphomaniac.org. The Little Rock Paper Airplane Championship is cleared for takeoff! The 2018 Little Rock Paper Airplane Championship will be held on Saturday, September 15 at the Clinton School of Public Service. So, mark your calendars and get your paper airplanes ready! 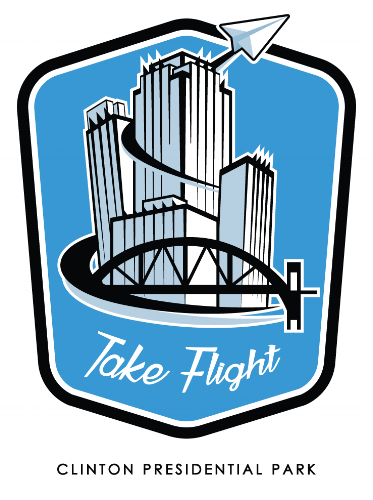 As usual, we'll have competitions for distance and air time and we'll have trophies for first, second, and third place in each age group. We've also changed the name of the event to the Little Rock Paper Airplane Championship to better reflect the nature of the event. For more information, contact Griffin Coop at griffin@lymphomaniac.org. The Lymphomaniac Society is proud to announce that it provided respite trips to 16 cancer survivors and caregivers in 2017. The map above shows the hometowns of cancer survivors (white flags) and their destinations in Hot Springs, Little Rock, Fayetteville, and Pensacola. KNWA was on-hand to witness a unique and special vow renewal between a cancer survivor and caregiver during their respite trip to Fayetteville. Read the full story below or watch the video at http://www.nwahomepage.com/news/local-non-profit-gives-cancer-survivor-marriage-vow-renewal-ceremony/697017995. FAYETTEVILLE, Ark. - - It's a dream come true for an Arkansas woman, after one of the worst years of her life. It's a love story that survived one of the rarest forms of breast cancer there is, and came out even stronger than before. "Today is something that I've been wanting for years," Amara Scott said. Getting to this point in their relationship has been a long road for Amara & Robert Scott. "I feel like this past year we went through some of the hardest times of our life and this is chance to say goodbye to those and move on to better ones," Amara said. Amara was diagnosed with triple-negative breast cancer on her 42nd birthday last year. She underwent surgery, chemo, and radiation. Cancer took a toll on them physically, mentally, but also as a couple. On Friday the couple decided to celebrate their love for one another. And after they renewed their vows the couple got to head out on a free stay at the Chancellor hotel in Fayetteville. Elizabeth Fortune is the President of the Lymphomaniac Society that provided the vow renewals and trip. She said the non- profit provides brief respite trips for cancer survivors and their caregivers, usually two to three nights days around the state. This actually is the first time the non profit provided a couple with a vow renewal. But after hearing the Scott's story, they knew they had to say I do. Amara said the vow renewal was even more meaningful than their wedding. "This is actually our wedding...I mean we got a piece of paper the first time it was just a legal certificate and this is from the heart this is between her and I and God," Amara said. 12/7/16: The Lymphomaniac Society has been in existence for just more than one year. Read about the cancer survivors who have benefited from respite trips provided by the organization in our first end-of-the-year report (above). 4/27/16: The Lymphomaniac Society was the April recipient of the KATV Spirit of Arkansas award sponsored by Little Rock law firm Rainwater, Holt, and Sexton. The award "recognizes exceptional local organizations that make Arkansas a better place to live." We were featured in a segment on KATV. We also received a cash donation from the law firm to help fund more trips for cancer survivors. The Lymphomaniac Society is excited to announce we're the recipients of a mini-grant from the Arkansas Blue Cross Blue Shield Blue and You Foundation. This grant will help us fund one full trip for a cancer survivor and their caregiver. The Lymphomaniac Society is proud to announce 106.7 The Ride as an official media partner. The Ride is Little Rock's home for new country music with great on-air hosts and lots of fun events. We look forward to partnering with The Ride, appearing on-air to promote upcoming events, and telling listeners how to donate or apply for LS trips. "We're so excited to have The Ride join our team as a media partner," said Elizabeth Fortune, Lymphomaniac Society president. "This is such a positive time for our organization as we grow and provide more trips to cancer survivors. We look forward to letting listeners know how they can support cancer survivors." We'll keep you updated when we're on the station so you can tune in! Mark your calendars for an exciting giving event Thursday, April 7. The Lymphomaniac Society is excited to participate in the 2016 Arkansas Gives event. ArkansasGives.org is a 12-hour giving event sponsored by the Arkansas Community Foundation. The online event is Thursday, April 7. During this day of giving, Arkansans make donations on a single day in recognition of the vital work of local charitable organizations. As a special incentive to give, each gift made through ArkansasGives on April 7 will be matched with additional bonus dollars; the more you give, the more bonus dollars the Lymphomaniac Society will receive. We’re in the process of planning four trips with two applicants waiting for trips so ArkansasGives is a great opportunity for us to raise some funds to provide meaningful and memorable trips. KNWA was on-hand to witness a unique vow renewal between a cancer survivor and caregiver during their respite trip to Northwest Arkansas. Read more at http://www.nwahomepage.com/news/local-non-profit-gives-cancer-survivor-marriage-vow-renewal-ceremony/697017995. We received the KATV Spirit of Arkansas award sponsored by the Rainwater, Holt, and Sexton law firm. Our founders, Elizabeth and Griffin, recently traveled to Cincinnati to meet Elizabeth's bone marrow donor. Local NBC affiliate WLWT was there to capture the moment Elizabeth met her donor, Amanda, for the first time. The story subsequently aired on the Little Rock NBC affiliate, KARK.